Business process models are widely used in organizations by information systems analysts to represent complex business requirements and by business users to understand business operations and constraints. This understanding is extracted from graphical process models as well as business rules. Prior research advocated integrating business rules into business process models to improve the effectiveness of important organizational activities, such as developing shared understanding, effective communication, and process improvement. However, whether such integrated modeling can improve the understanding of business processes has not been empirically evaluated. 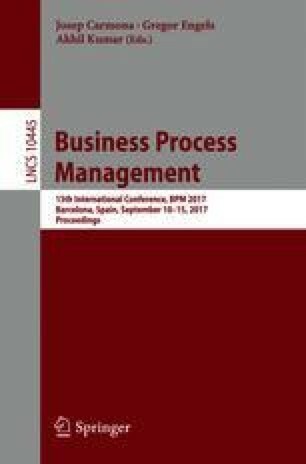 In this paper, we report on an experiment that investigates the effect of linked rules, a specific rule integration approach, on business process model understanding. Our results indicate that linked rules are associated with better time efficiency in interpreting business operations, less mental effort, and partially associated with improved accuracy of understanding. This work is partially supported by ARC DP140103171 and China Scholarship Council. We would like to acknowledge the advice from Dr Thomas Taimre regarding the use of relevant statistical methods.